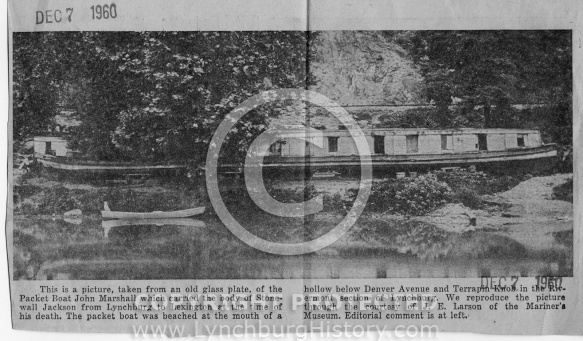 Description: This picture taken from an old glass plate of the packet Boat John Marshall which transported the remains of General Jackson to Lexington. The boat was beached at the south mouth of a hollow below Denver Ave. and Terrapin Knob. Article December 7, 1960.